Did you know that NYLearns has hundreds, no, thousands of free educational resources available to use in your classroom right now? Not only that, but our content specialists update the featured content weekly to reflect current events and seasonal trends. That means you can stop wasting your valuable time sifting through thousands of potentially unusable search engine results for classroom activities, and start using NYLearns’ standards-aligned educational resources to build curriculum that reflects the state standards and performance indicators you need to teach. This one seems pretty straightforward, but did you know that you can also narrow your search results to include specific types of materials and resources? 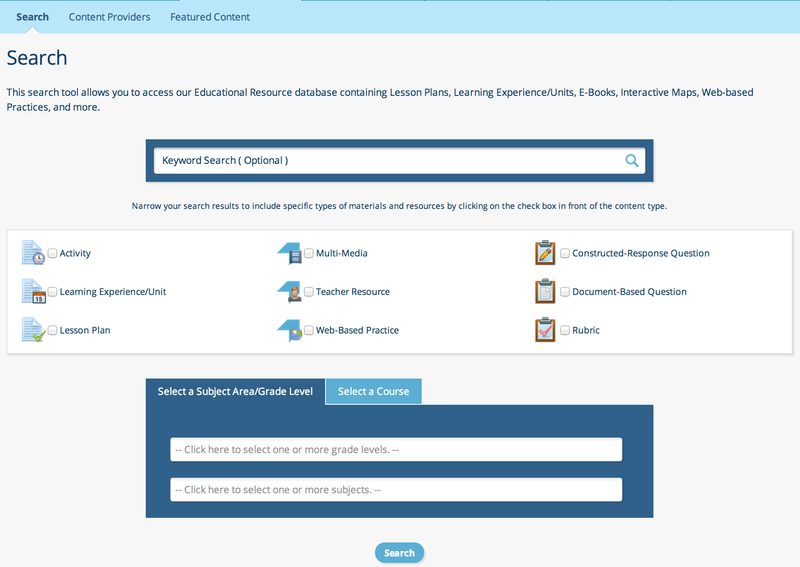 Click on the check box in front of the content type to search for Lesson Plans, Learning Experience/Units, E-Books, Interactive Maps, Web-based Practices, and more. All of our educational resources come from reputable content providers like Karpeles, LearnZillion, and the New York State Education Department – just to name a few. 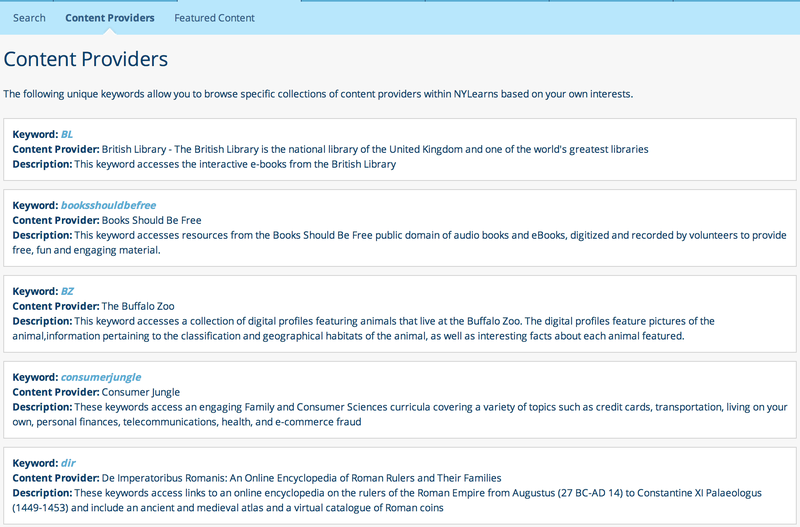 You can narrow your searches to only include resources from a specific content provider. 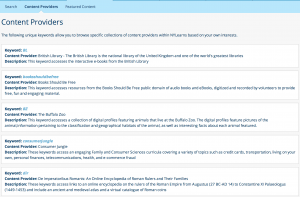 We’ve compiled a list of unique keywords that allow you to browse specific collections of content providers within NYLearns based on your own interests. 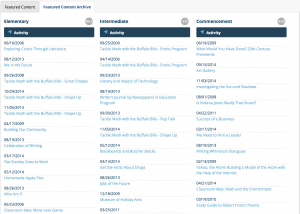 New instructional content and educational resources are featured every week to our community of users in the NYLearns Featured Content section. 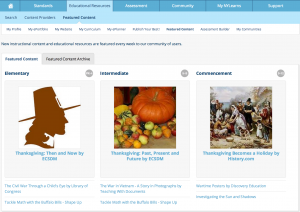 The featured content archive is arranged by Elementary, Intermediate, and Commencement level as well as by Activity, Learning Experience, Lesson Plan, Rubric, and more. 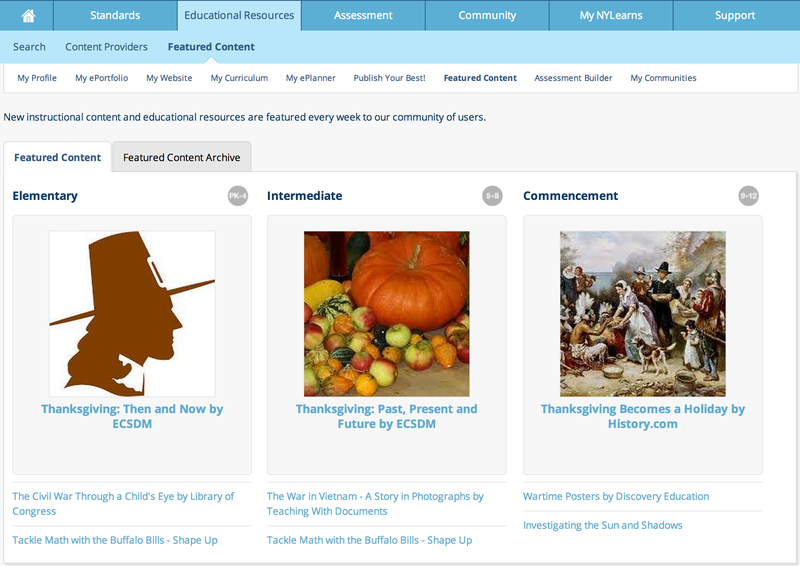 Plus, NYLearns subscribers can save all of their favorite educational resources in their ePortfolios to add to curriculum maps, build formative assessments, create planbooks, and add to their teacher websites. So what are you waiting for? Start delivering results with NYLearns. Click here to browse our database of standards-aligned educational resources and instructional content that’s ready to be plugged into your curriculum immediately. Standards – Explore a searchable database of NY P-12 Common Core Standards for English Language Arts and Literacy and Mathematics, as well as the New York State Learning Standards. Educational Resources – Find thousands of high-quality Educational Resources that are aligned to the New York State Academic and Common Core Standards. 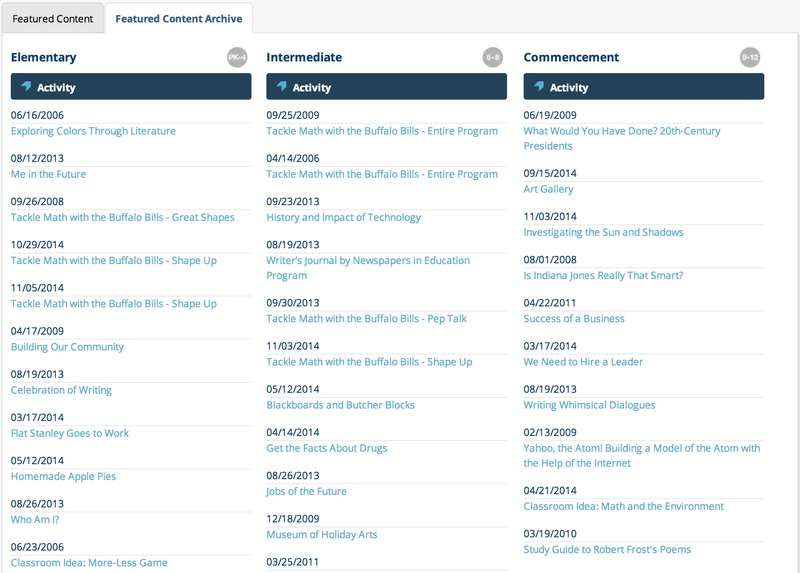 This classroom-ready content is searchable by keyword, subject area, grade level, and course. 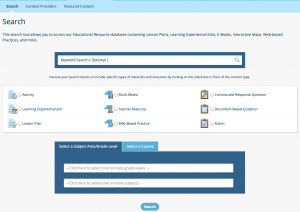 Assessment Builder – Research thousands of questions, along with their alignments to standards and performance indicators, that have been entered directly from released NYS Assessments and NYS Regents Exams.